During the HC-2007 conference on Saturday, 15. 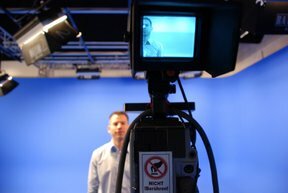 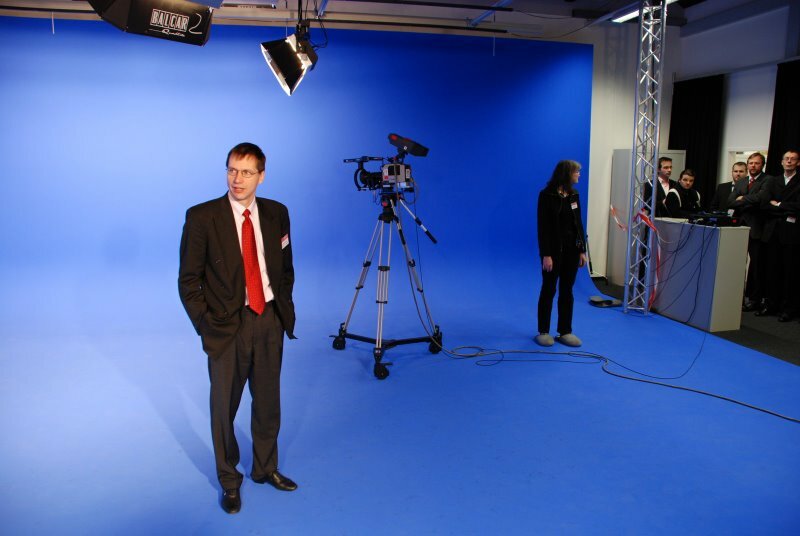 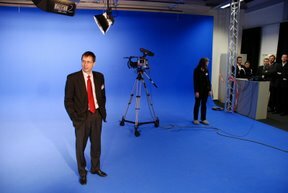 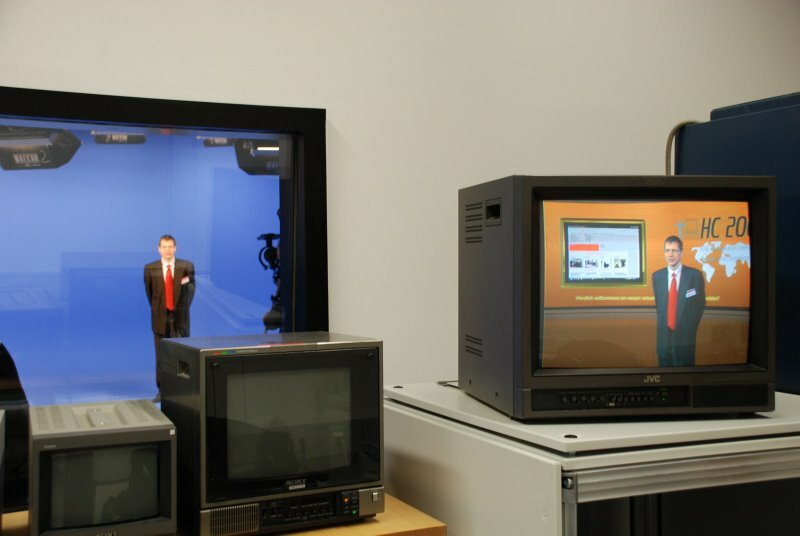 December 2007, as part of the lab sessions, the new facilities (S 1.7) of the Virtual Sets and Virtual Environments Laboratory of the Department of Media were opened. 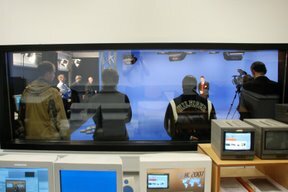 The demonstration shows a moderator with a guest conducting a video conference with Japan. 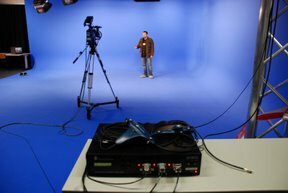 The hybrid tracking system IS-900 SCT from InterSense tracks the studio camera. 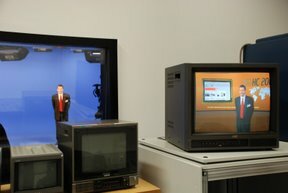 VRPN acts as tracking server. 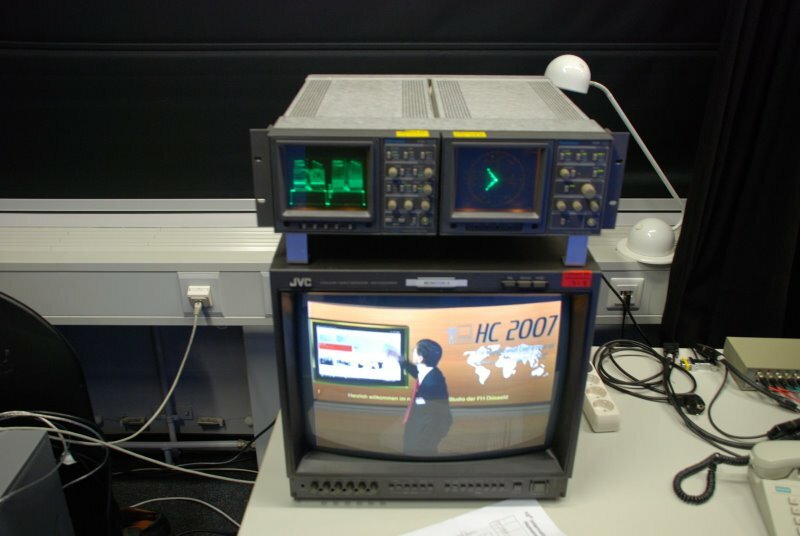 As renderer the software ventuz is applied, using osc for receiving tracking data..